Stuart Boon was born in the thriving oil-boom metropolis of Edmonton, Alberta, Canada. Spending much of his tender youth in the idyllic Tortonian wilds outside Edmonton near Spruce Grove, Alberta, young Stuart learned valuable life lessons from the majestic elk, the hardworking beaver, the erudite buffalo and the noble gopher. He attended elementary, junior and high school in the aforementioned town while holding down jobs as a shop clerk assistant and wolverine wrangler. Life was hard in Spruce Grove with the town under constant threat from pirates, marauding polar bears and the native man-eating mosquitos of Wabamun. 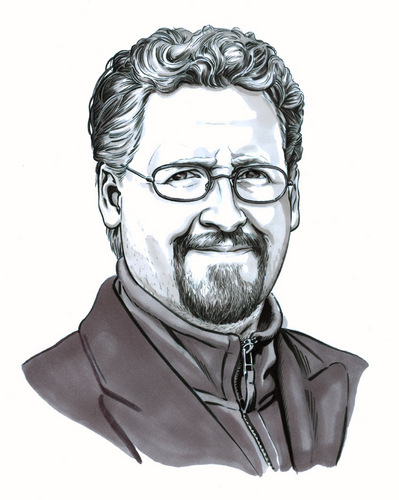 Stuart finally left Spruce Grove in the early 1990s to embark as a career as a scholar, scientist and philosopher. He obtained degrees at the University of Alberta, Acadia University and Dalhousie University culminating in his seminal treatise ‘On the Many Uses of Chip Fat’ (2001). Following this critical success, he was whisked away to the University of Sheffield in the United Kingdom. There he would remain for three years. Ultimately disappointed by the lack of haggis, good single malts, and Highland dress in South Yorkshire, Stuart moved to the University of Strathclyde in Glasgow, Scotland in late 2005. The move to Scotland would prove both portentous and prophetic: it was here that he was introduced to the dark and manifold mysteries of majestic Scotland. He took great interest and amusement in the Cyclopean tales, batrachain hymns and eldritch rites of Scottish legend and myth, but therein he also found a mind-bending significance. Five years of secretive scholarship followed and led to his discovery of the non-Euclidean tea towel of Tobermory and Black Kettle of Kilwinning among other horrors. By the turn of 2010, Stuart had become steeped in the dark shadows that hang over ageless Scotland. Near mad with the knowledge he’d acquired, he began feverishly recording his discoveries on paper–a futile attempt to ward off others who might foolishly look or, God forbid, venture into those dark shadows. 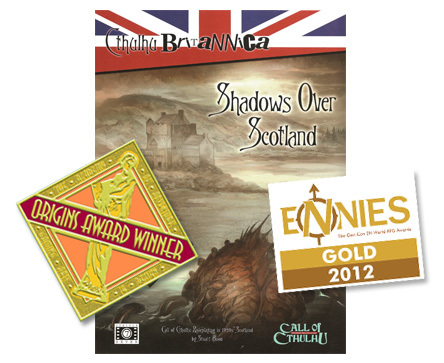 This twisted collection of mad ravings is now collected in the multiple award-winning book Shadows Over Scotland published by Cubicle 7 . Still tortured by nightmare visions of an impossible truth behind the thin veil of reality, Stuart continues to scribble madly in the dark to this day. In 2012, Stuart stepped into the role of Line Developer for Cthulhu Britannica, Cubicle 7’s line of original sourcebooks and supplements set in 1920s Britain. He has subsequently resurrected and co-written Cthulhu Britannica: Folklore due out any day now and is hard at work on a number of legacy products for the Cthulhu Britannica line, including the forthcoming London box set. Since finishing Shadows Over Scotland, Stuart has written scenarios for publishers Chaosium (Call of Cthulhu), Miskatonic River Press (Call of Cthulhu), Savage Mojo (Savage Worlds), and Sixtystone Press (Call of Cthulhu), among others. 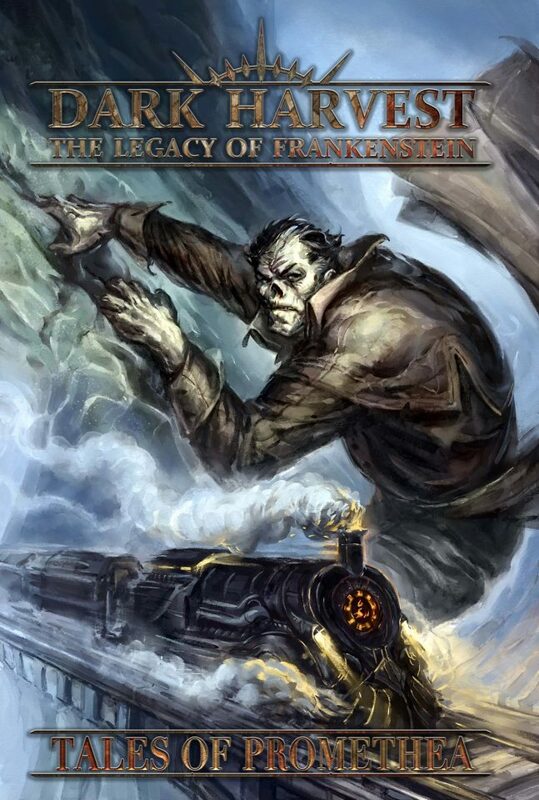 In addition to writing for roleplaying games, Stuart dabbles in fiction and most recently has had his short story ‘A Rending Crack Of Thunder’ published in Tales of Promethea, a collection of short fiction inspired by the award-winning, critically acclaimed roleplaying game Dark Harvest: The Legacy of Frankenstein and set in the fictional country of Promethea. By day, Stuart is a lecturer and educational developer at the University of Strathclyde and, when academic and gaming collide, acts as a guest lecturer on the subject of writing for roleplaying. In his (now virtually non-existent) spare time, Stuart is an avid film and music fan, an active role-player, and spends entirely too much time indoors. He is currently working on a number of projects involving the Cthulhu Mythos whilst trying to retain what is left of his sanity.